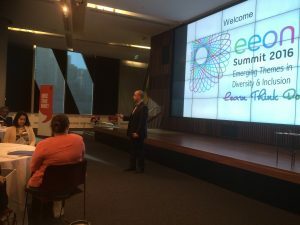 EEON's inaugural conference was an enormous success, with engaging guest speakers and a room full of around one hundred delegates who came away with actionable ideas and goals to take back to their workplaces. 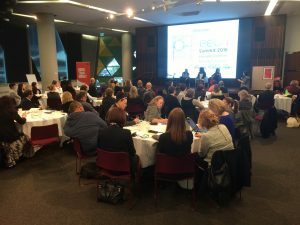 Through a unique experiential format, the D&I Summit provided delegates with a supportive environment to further develop their strategic thinking and practice (learn, think and do) in D&I, in order to drive systemic change and shape the future. 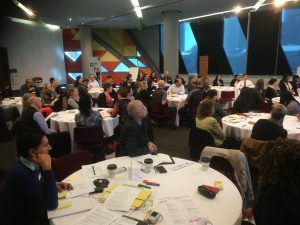 Delegates were able to explore opportunities for innovative, efficient and effective practices, undertake solution-based conversations, build new connections and walk away with practical D&I action plans for workplace application. 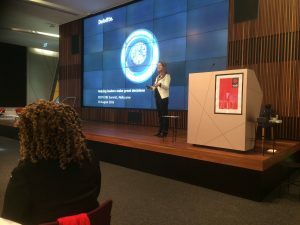 Speakers Graeme Innes, Juliet Bourke, Malcolm Fiahlo and Dr Jennifer Whelan presented, along with panels of speakers from NAB, St Barbara and AECOM. 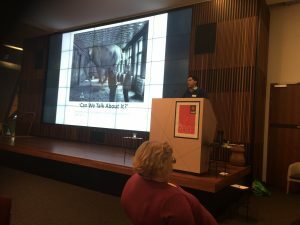 Lachlan Fairburn took on the role of MC and facilitator. The day was filled with high energy and discussion both in the room as a whole and at each table. Thank you to those who came and made the day such a rewarding experience! Link: Explore the Summit Brochure. "What a wonderfully stimulating and heart warming Summit. Thank you so much for putting me on to the organisation. You are all doing some very clever and important things. Inspiring to see such a dedicated group of people really take up the challenge." 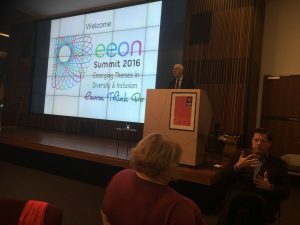 "It was a delight to be at the EEON summit on Thursday – your team did an outstanding job organising the agenda, speakers and facilitation! Thank you! Our events & webinars are open to everyone who wants to make a change.